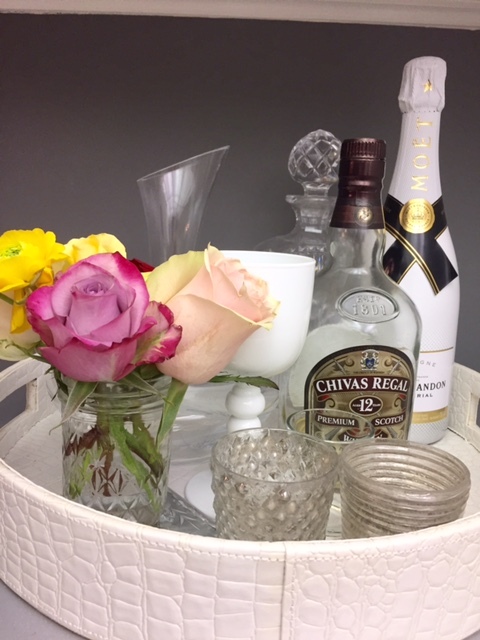 Today you are all in for a treat … We are “hosting” a new series on our blog (consider this the trial run) filled with tips and tricks for hosting in your home. We tend to think that there are two types of extremes. The person who hates to host and gets scared at even the thought and the person who loves to do it, invites people over all the time, and feels truly complete when guests are over. You (like us) are probably somewhere in the middle. We happen to love to host. This sometimes comes with a little bit of a nervous feeling but nothing that we can’t get over. When we coordinate an event for a client, we go about it in a slightly different way than when entertaining in our own homes. 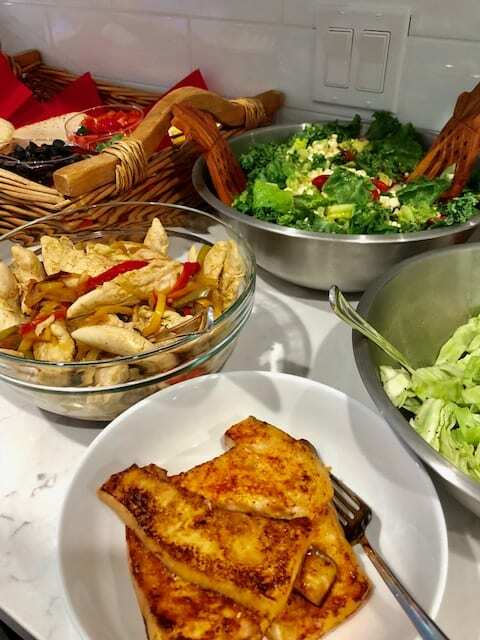 The content of these “Hosting at Home” blog posts is meant to inspire each of you to throw an impromptu BBQ, to pull out dishes you haven’t used in a while, and to find that random accessory that helps create your table for your next meal. None of this is sponsored … It’s from the heart and straight to you from our very own homes. Enjoy! As you all know, I recently renovated and moved into a new house. A certain friend of mine had been asking to see the house since even before we purchased it, but had still not been able to make their way over. After telling her and her family that they did not need an invitation more times than I could count, I finally decided to make the invitation official. I asked another family of mutual friends to come over as well and turned it into a “party”. That is how this whole Healthy Mex meal plan got started, but really it was just an excuse to get together with good friends. With only a few days left to prepare I made sure to gather all of the ingredients I needed, asked each guest to bring something small to share, and got to cooking. 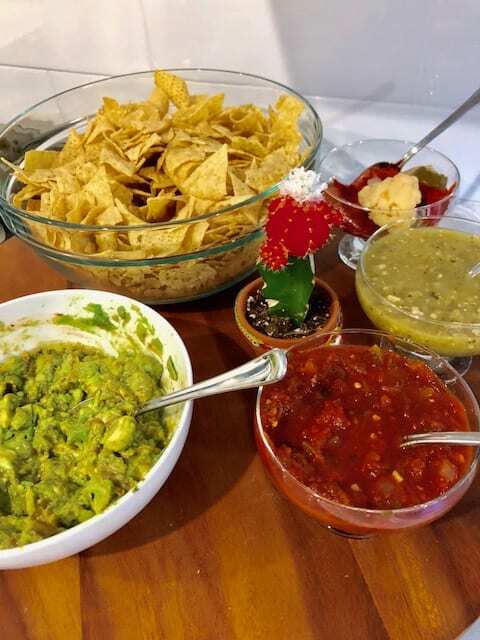 As my guests arrived, I gave them a tour of my new home and treated them to an appetizer of chips, salsas, and homemade guacamole. Here’s a tip … Try to have a little of something for everybody (i.e. mild, medium, and hot varieties for the various taste buds in your group and even something for the kids to nosh on too). 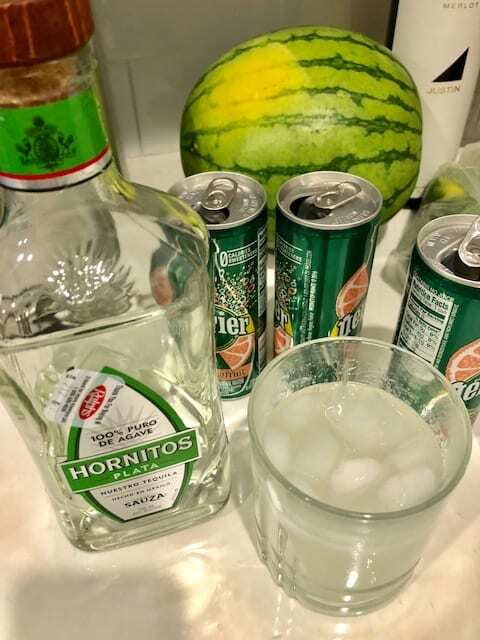 One of my guests brought all of the ingredients to make awesome “skinny margaritas”. Her recipe was so easy to make, refreshing, and will now be in the rotation for cocktails served in our home. 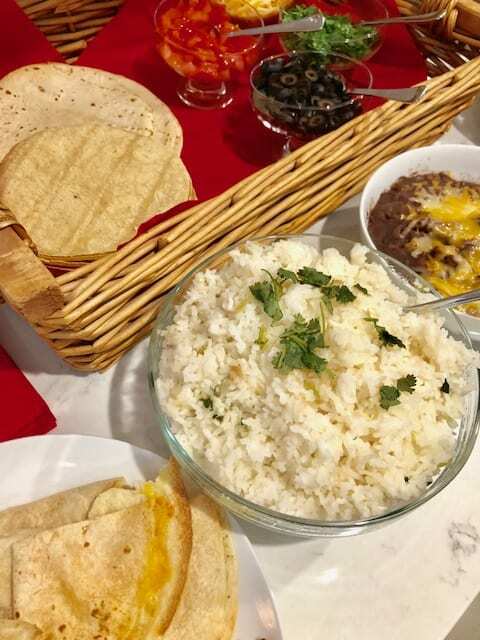 Funny how I didn’t even mention that the theme was Mexican and she came up with margaritas all on her own, but if you are trying to stick to a strict theme, make sure to make that known to your guests. I decided to make easy yet healthy items for dinner that most people love. 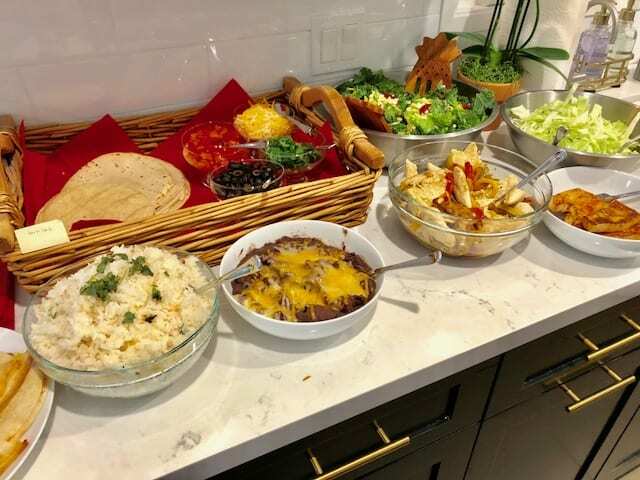 My menu consisted of: chicken fajitas, fish tacos, rice, beans, salad, and all the fixin’s. I knew I wanted to set up the dinner buffet style and that I wanted it to feel festive but this sort of organically evolved throughout my setting up process. Like I mentioned, it’s fun to pull out dishes you haven’t used in a while like these glass footed ones and use them in a whole new way. 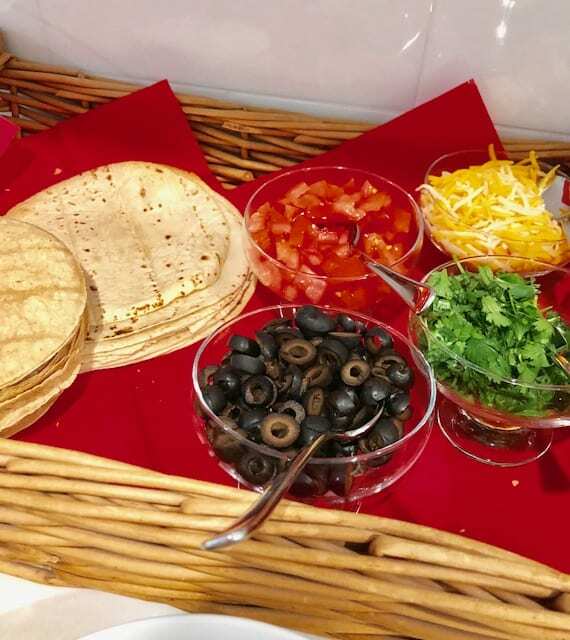 I love how my taco toppings looked when set up this way. I also whipped up some quesadillas (a staple for kids). One of the moms commented on how she loves going to houses where they have similar aged kids as they understand how to include child friendly items in the menu. Lastly, be creative! I like to pull items from around my house to make my set up look different each time. For example, I needed a place to display all of the ingredients for my tacos so I put them in this fun basket, and when I saw that cute cactus sitting in a window I knew I had to include it as well. We always look forward to May … May brings the NBA playoffs (Although our team is not doing so hot! ), the Kentucky Derby with its amazing hats, the celebration of our mothers (made even more exciting this year by the fact that Tami just became a mom), and the promise of Summer. In addition, we expect to see gorgeous flowers blooming all around us this month. What’s that famous expression? “April showers, brings May flowers”. 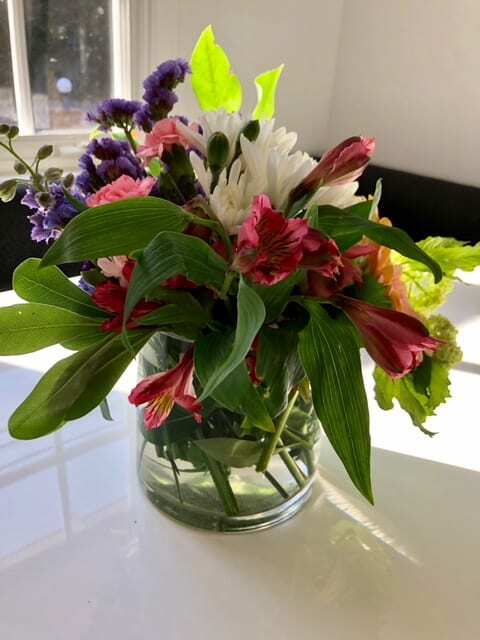 One thing we both love to do is to re-arrange simple flowers in different ways creating beautiful flower arrangements to display all over our homes. This past weekend, we did just that! Take a look! T Side: I was lucky this Mother’s Day to not only get gorgeous florals from my hubby but from a few others as well. 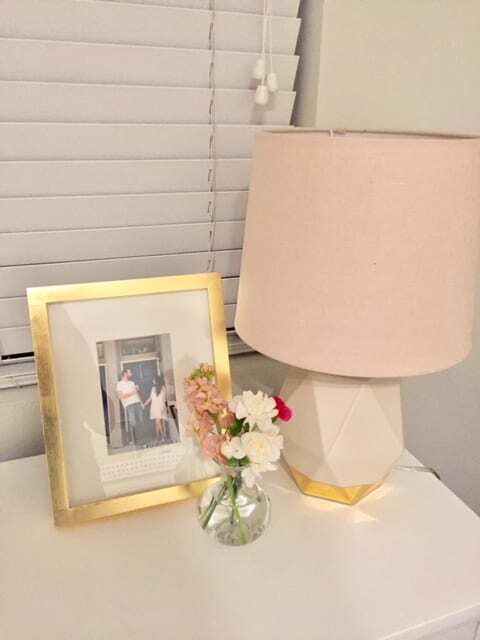 I knew when arranging all of these into separate vases that I wanted to use the base Phil came up with (soft blush and white tones) as my starting point and that I wanted to have several vessels spread out throughout my home with the same cohesive look. I pulled out a bunch of my favorite bud vases and created small arrangements to match the big one I made for my kitchen buffet. Each one housed just a few hot pink flowers in contrast to the otherwise soft look. 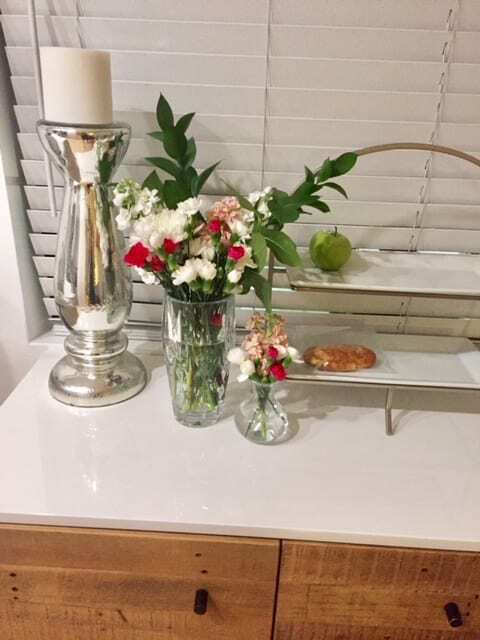 A few days later, these flower arrangements are still going strong adding so much life into my space … What a great reminder of that special 1st Mother’s Day I celebrated this past weekend! Check out my photos with a special sneak peek at Joie’s nursery (Full post coming soon!). L Side: I decided to make some special arrangements for some of the mothers in my life. 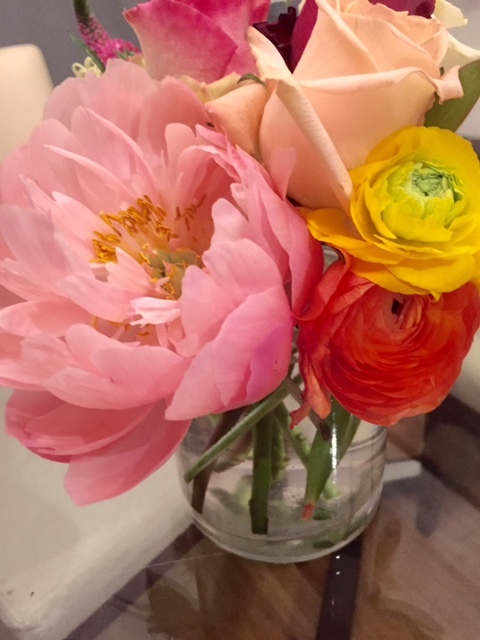 I wasn’t too disappointed when I had a few extra blooms left at home and decided to make a pretty arrangement for myself to enjoy in my kitchen this week. 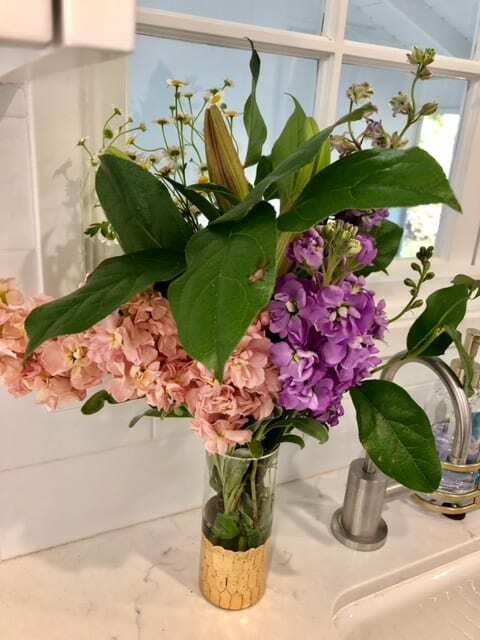 Our grandfather was sweet and gave each of his granddaughters and daughters a bouquet of flowers to take home on Mother’s Day. I re-arranged those as well, mixed in a few of my other blooms, and came up with these gorgeous arrangements to dress up my space. Three days later they still look perfect and they truly cheer up my home. 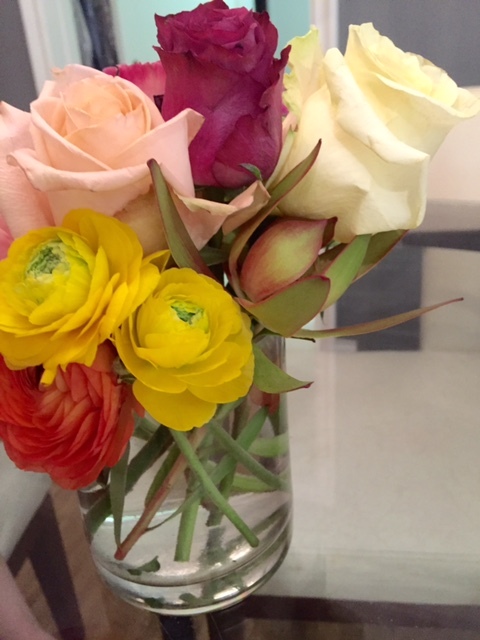 We can pretty much guarantee that adding some fresh flowers into your home will make you feel alive this Spring. Go out and grab a few bundles and create something new. See what you can come up with! Have fun! 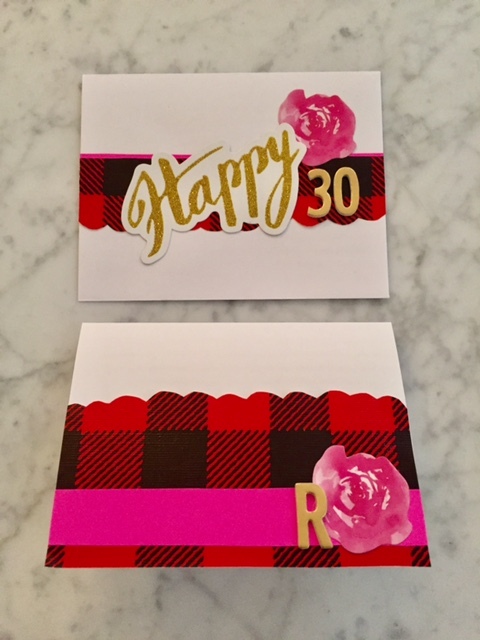 When making cards for any special occasion, I like to dig in to the many scraps I have on hand as there is no need to always purchase something new (You may call me cheap … I call myself resourceful!). Don’t get me wrong, I could spend hours at my local Michael’s or Paper Source scouring every shelf for the perfect patterned paper. I love craft supplies that much! However, I also love to see what I can come up with from what I have at home. The scraps I used for this particular set of Mother’s Day cards you may remember as touches from my decor at my Bridesmaids Brunch and Lauren’s first baby shower. Make the envelope match the inside. I love to use a bit of coordinating paper on the outside of the envelope to make it special too. 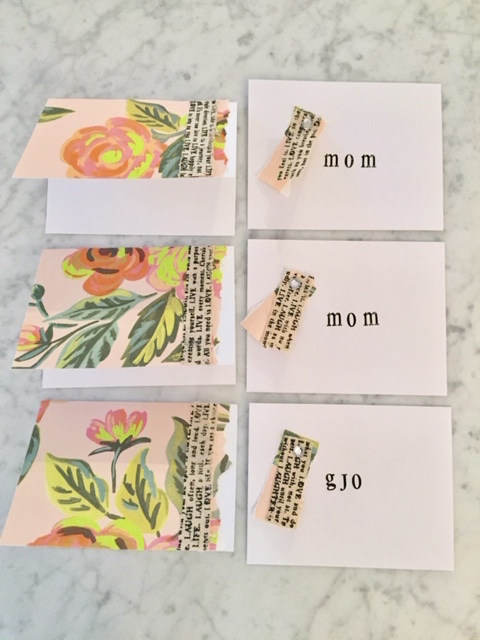 Make sure to label each card for its recipient (so you don’t get them confused). I’m not quite sure how I remembered which of these “mom” cards was for mine and which was for Phil’s but hopefully they each got to the right person (wink). Last but not least, be proud of the work that you do! Find a pretty place / backdrop to snap a photo when you are through. Post it on IG! Why not!? Just remember, it’s really the thought that counts when it comes to showing the mothers in your life that you care. As a new mom, I plan to spend as much time as I can this Sunday snuggling my baby Joie and who knows … Maybe some day she will get crafty and make a homemade card of her own for me. No rush! Happy Mother’s Day from Side by Side Design! Lately, more than ever, we have been seeing the change in month / season as an opportunity for a new focus or theme when it comes to entertaining in our homes and ways to give gifts to our loved ones. This May it should be no surprise where our minds are as it is the month where flowers bloom. 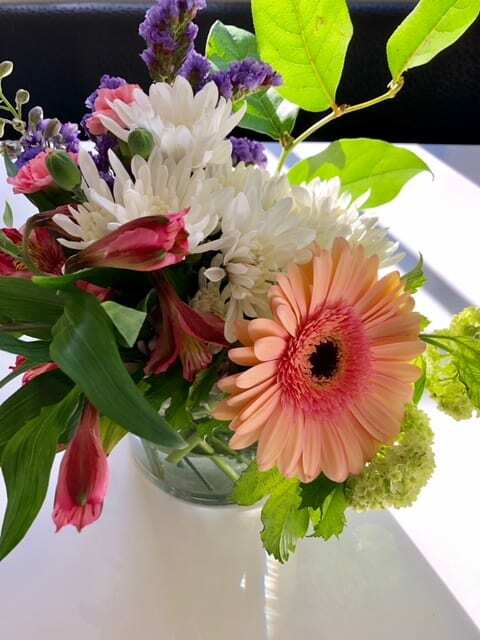 Flowers (real and in paper form) and bright Spring colors seem to be popping up everywhere for us, and we are excited to show you some of our May creations. 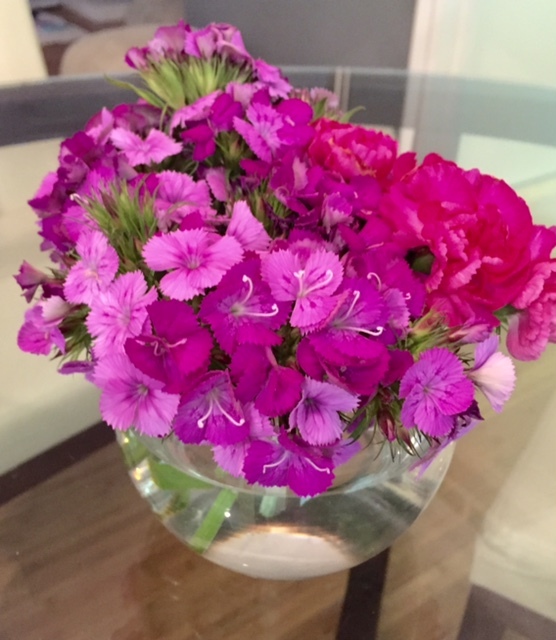 A cluster of fuchsia flowers are arranged in a fish bowl after Lauren’s daughter Ava went foraging outside. They had fun arranging them together, and Ava was really proud of her work. Notice how teeny this gift is when placed next to its coordinating card. Tami brought her newly engaged friends a little something with flowers on top to express her congratulations. 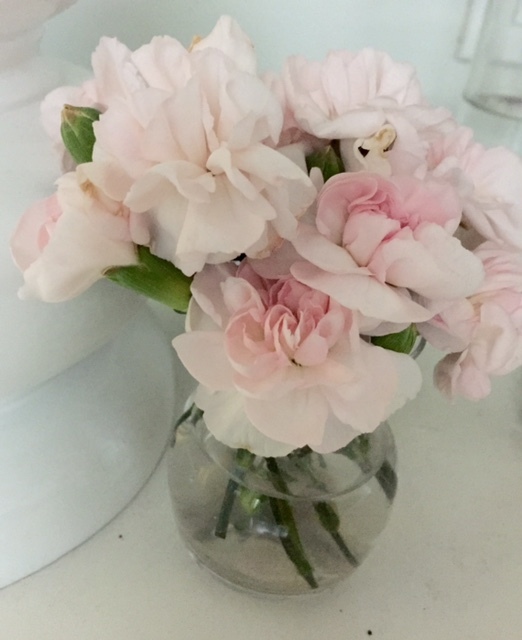 Soft blush flowers brightened up Lauren’s nightstand this month, and made her happy each morning. We have had many opportunities to celebrate the moms in our lives with their recent birthdays and Mother’s Day this weekend. 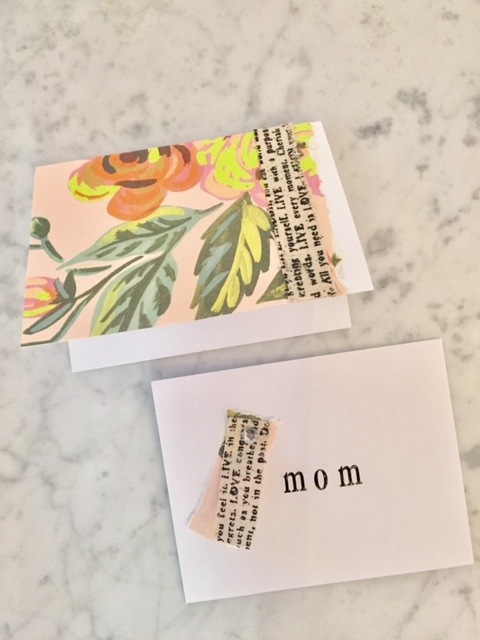 We love to make personalized cards to show the moms in our lives that we care! Tami has a way of pulling out a grouping of materials to use for wrapping all of the gifts for that season. This is the overall look she is going for this Spring and the way she wrapped a special little something for a new set of twins and their loving parents. 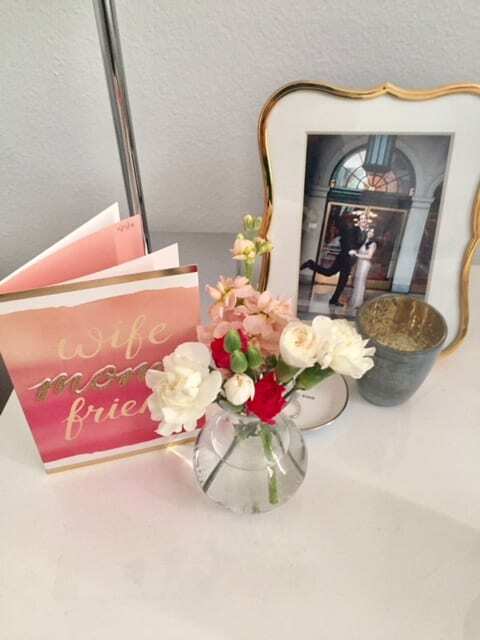 Lauren was already excited enough to have some fresh florals in her home (that she brought back from the last wedding we planned), but when her new neighbors came over with two dozen roses (in the same bright color scheme) she knew she had something special. She mixed the wildflowers with the roses and created flower arrangements to place all over her home making each day brighter. This card does not have flowers on it at all but exudes the Spring feeling we are talking about. 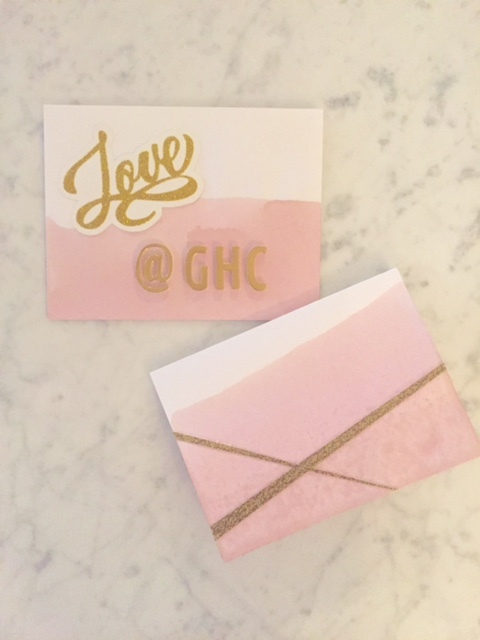 We love to present each of our Brides and Grooms with which we work with a personalized card created in the overall look of their special day. 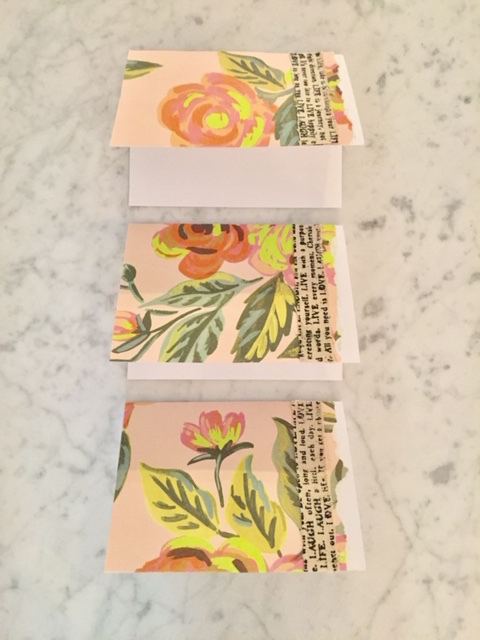 Let your creativity bloom this May! 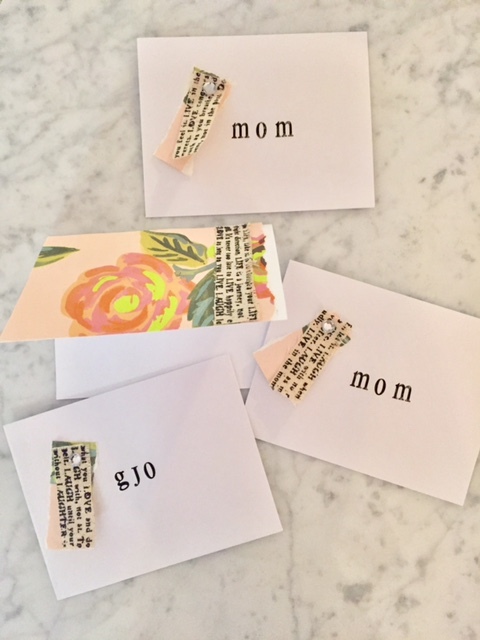 Mother’s Day is this coming weekend … Are you planning to make your own card or flower arrangement for the mothers in your life? What’s mom’s favorite flower / color? Use what you love most about these ladies as your inspiration, and we know you will create something truly unique and special. To all our readers who are moms … Happy Mother’s Day from Side by Side Design! We want to start by mentioning that today is our 700th blog post! Where has the time gone!? Thank you all for sticking with us through 700 … Here’s to 700 more! 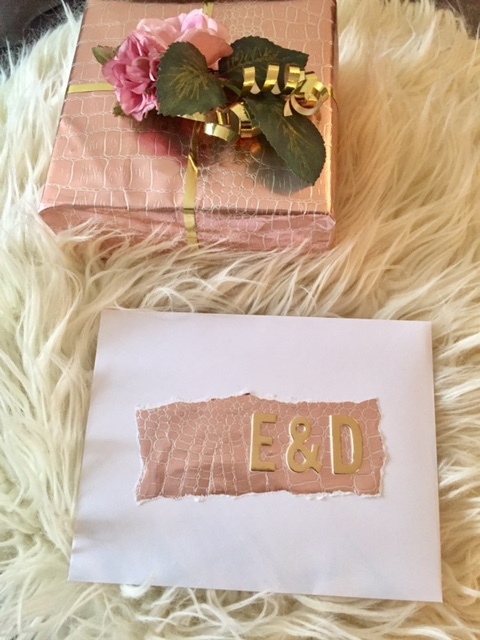 In our previous editions of Wrap With Scraps, we have talked about how we reuse materials from past projects to enhance the look of wrapped gifts and homemade cards. The many scraps we have lying around come in handy when it comes to making cards and tags for various occasions especially when we are in a pinch for time. Valentines Day is literally right around the corner (tomorrow), and as it has become our tradition, we have each come up with a look for our home decor this year. Sometimes we fall in love with the materials we use in creating seasonal decor so much that we can’t help but use them all month long … This is definitely the case for me this year. I have not yet shared the color scheme / overall look I have put together for my Valentine, but I did hint just a little on our Get Inspired: February post, and today you will catch more than just a glimpse at what I have in store. 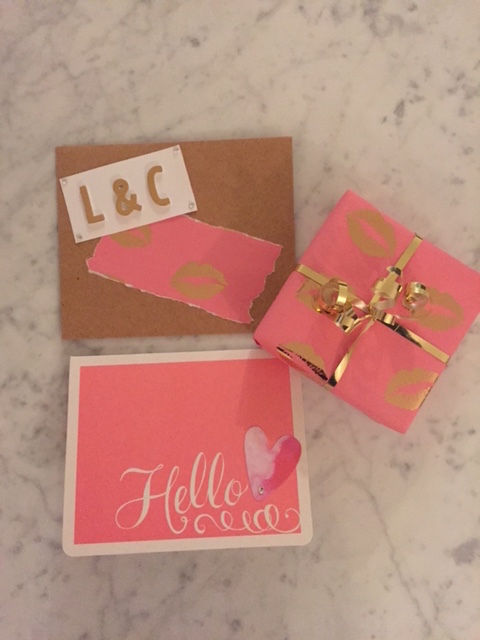 It’s never too late in life to start making homemade Valentines! 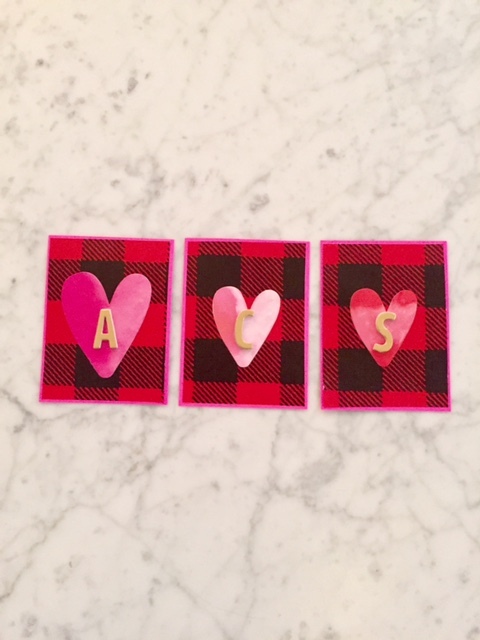 I made these cute little cards for three cute girls that I love oh so much with their initials each on a heart. We mentioned previously that our little sis is turning thirty this month. I whipped up this card in her honor and hope that it will make her smile. This heartfelt card was sent to another friend whose birthday is close to Valentine’s Day. I love my best friend Sarah so much even though she lives far and I don’t get to see her as much as I would like. 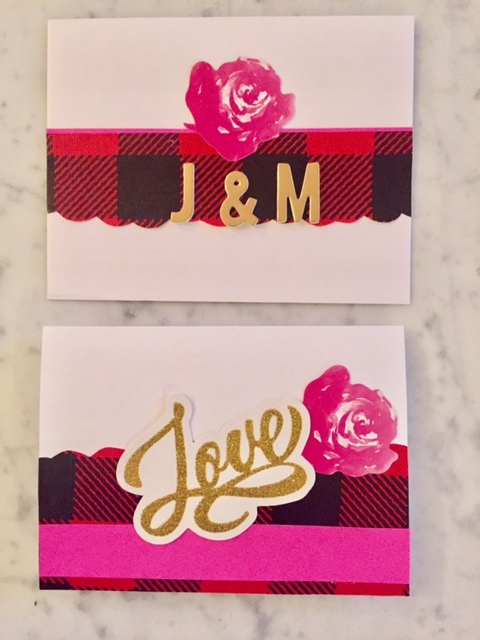 As you can see each of these cards has a few things in common; red and black buffalo plaid, touches of hot pink and gold, and lots and lots of love! Although it incorporated all of these same aspects as the other cards I made, I wanted to make this card extra special as it was for an extra special couple who were getting married. Congrats “J and M”! I cannot be more happy for the two of you and the love that I know you have for each other! Next time you find yourself decorating your home in a festive way, remember that those scraps can be used all month long! 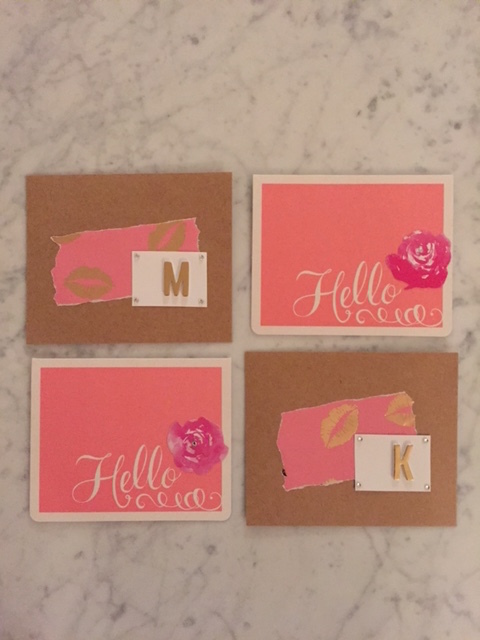 Here are a few tips to keep on hand: A little bit of LOVE can go a long way … Sending cards for occasions or just because will always make the ones you love smile. 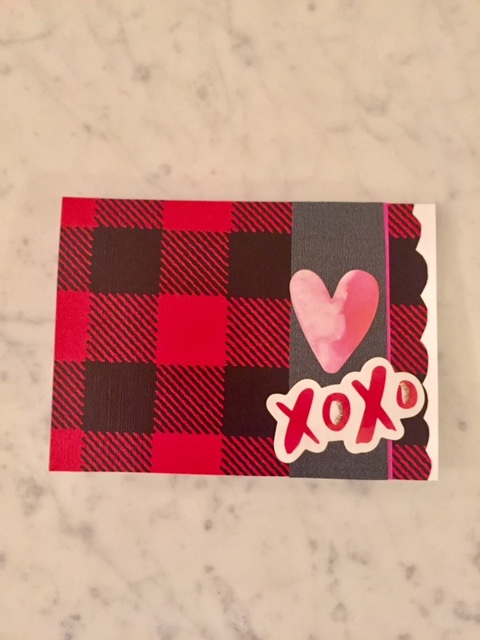 Although we spent our elementary school years handing out store-bought Valentines, it’s never too late (or early … for those crafty youngsters) to start making them yourself. Handmade cards are unique and much appreciated. When you can, add a little personal touch to show each of your loved ones just how much you care. Happy Valentine’s Day from Side by Side Design!